Meredith is an avid reader and reviewer who enjoys sharing her thoughts by blogging about and reviewing the books she has read. Today, she is here to share with us how she first discovered Jane Austen and how having Jane in her life has shaped and changed it! First I’d like to start by saying thank you Cass and Ada for so kindly inviting me to be a part of their lovely new series! Ladies, I’m honored to visit your blog and I’m so very excited to celebrate the release of your new book! I love thinking back to when I first encountered Jane Austen, because for me it was such a pivotal moment that changed my life. I found Jane Austen by way of the 1940’s Pride and Prejudice film. During my sophomore year of high school I was big into classic romantic films (i.e. Roman Holiday, Three Coins in a Fountain, The Philadelphia Story) and was working my way through the DVD selection at my local library. The cover of the 1940’s Pride and Prejudice film caught my eye. It looked wonderfully romantic and from an elegant time period so I decided to add it to my pile. I instantly loved it! I know many despise this adaptation for its inaccuracies, costumes, and actors, but I will forever hold it special and dear for introducing me to this world I now happily inhabit. I watched that film probably close to 30 times that first year. I read all of Jane Austen books, watched any movie I could get my hands on. By junior year of high school I was a full-blown Janeite, avid reader, and Jane Austen heroine in training! If I never heard of Jane Austen or never read any of her works, I think my life would be quite different. I found Jane Austen when I was 15 and credit her for shaping me into the person I’ve become. I was a terribly quiet and shy person in high school (I still am around new people) and felt like I didn’t belong with the people of my age group. When I discovered Jane Austen I felt like I found my niche, I found the mindset and world that I could relate to, understand, and be “perfectly and incandescently happy” in. If I didn’t discover Jane Austen, I don’t know how well I would have matured or how I would have dealt with my shyness and feelings of not fitting in. Since discovering Jane Austen in 2002, I’ve become a voracious reader. More so than I ever was as a child. After learning who my new favorite author was, a family friend recommended I try some Jane Austen sequels! I spent months looking for them in bookstores to no avail, but luckily I was able to track them down on Amazon! Some of the first ones I read were A Visit to Highbury by Joan Austen-Leigh, The Friendly Jane Austen by Natalie Tyler, and Jane Fairfax by Joan Aiken. Back then Jane Austen inspired books were few and hard to find (not like now!). Many of the ones I found were already out-of-print and were purchased as used copies from third-party sellers. But that didn’t stop me! I was determined to read anything and everything I could find! I noticed that for a lot of these books there weren’t many reviews on Amazon. And if there were reviews a lot of them were vehemently berating the author for daring to write about Jane Austen’s characters or in her style. Since I didn’t agree with such opinions, I decided to start writing my own reviews for all the books I was reading and enjoying. In the summer of 2009 I noticed more and more Austenesque books were being published and met author Mary Simonsen through some Amazon chat boards as she was gearing up to publish Searching for Pemberley with Sourcebooks. Mary and I exchanged several emails over the summer and it was she who suggested I start sharing my reviews on my own blog. 🙂 Mr. Bingley encouraged me in this endeavor and on September 22, 2009 Austenesque Reviews was born. Almost 7 years and 400+ reviews later, I am so very happy that I daily get to read, share, and discuss Jane Austen and books with lovely Janeite friends and authors all over the world! It’s amazing how Jane Austen continues to bring so many people together! 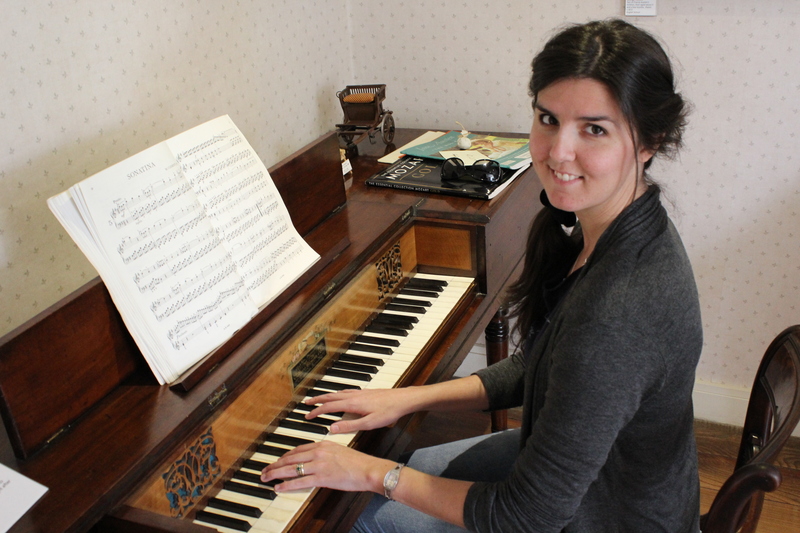 Meredith Esparza is a piano teacher, business owner, avid reader, and blogger. She lives off the coast of North Carolina happily married to her very own Mr. Bingley. Her blog, Austenesque Reviews, is devoted to the reading and reviewing of numerous Jane Austen sequels, fan-fiction, and para-literature. 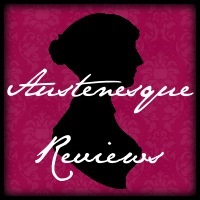 Visit Meredith at her blog Austenesque Reviews, follow her on Twitter as @Austenesque, and on Facebook as Austenesque Reviews. Meredith, thank you so much for visiting Tabby Cow and for such a delightful post! It’s been lovely to learn all about how you discovered Jane Austen and about the impact she has made on your life! * eBooks will be sent out once the release date is reached (7th July), but we already have some copies of the paperback, so it can be sent out ahead of the official release date! It’s simple! Just leave a comment below about anything in Meredith’s post above, or simply share how your life would be affected if Jane Austen had never published her novels. All those who comment will be entered into a draw to select the prize winner, which will be announced the following week. So far, we’ve had 3 winners, and 2 of them won on their second attempt, so don’t give up if you don’t win first time around! < Previous Week 3 Giveaway Winner Announced! Next > Week 4 Giveaway Winner Announced! I’ve enjoyed Meredith’s blog for several years. 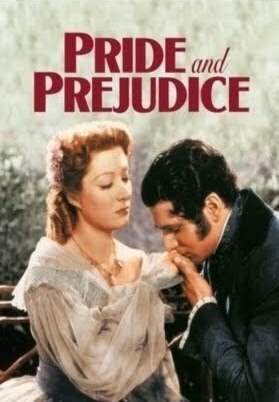 And I do adore that old P&P movie even if it’s not accurate since it was my first encounter with Austen in movie format. Neat how encountering Austen’s work helped through the difficult teen years. Ok, in the spirit of how Austenesque Reviews has encouraged people to read other Austen inspired things, after both you and she have mentioned the old P&P movie I’ll give it a chance! Thank you for commenting Sophia Rose! That movie version was the first ever adaptation I saw! I was taken aback by the crinoline skirts at first, but the charm of it won me over in the end! Thank you for commenting, Soohia Rose. I love Meredith’s blog too, and I think she did a great blog post here too! Thank you for being such a long-time friend to me and my blog, Sophia Rose! I greatly appreciate it all your support! 🙂 I love that the 1940’s film was your first too! 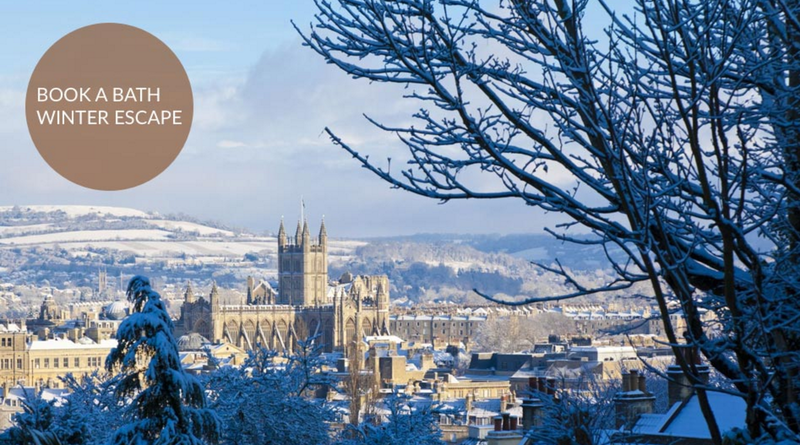 Thanks for sharing your Austen introduction with us – my own story was very similar! Thanks for stopping by and commenting NovEllaandBanannabelle! Good luck in the draw! Loving the name! Isn’t it great how an author who lived 200 years ago can have a large impact on so many lives? Thanks for reading my post! Thank you Meredith! Both for joining us here and for this wonderful post. Though I understand those that hold fast to a very strict cannon, I love what I love and love to find more of what I love. I just think how many people you have helped loosen some of the restrictions on what they’ve been able to enjoy and find more of and I think it is fabulous. Sometimes it really just does take seeing someone else’s perspective to massage us into going out of our comfort zone. Thank you for Austenesque Reviews!! Yes, thank you, Meredith, for being our guest and for such a heart-warming read! Thank you, Cass! I am so honored to be visiting you here! All the best!! Me too! I was 15 when I read Pride & Prejudice and after that, never stopped! Thank you so much for your kind comment! I hope you continue enjoy Jane Austen sequels and other Jane Austen inspired novels! It is lovely to live in Jane Austen’s world! Thank you for stopping by, Karen! It’s a lovely piece of writing from Meredith, a really interesting read. I am dying to read this one! Jane Austen came into my live through the mini series in the 90’s and it set me on a path to self improvement and saw me through my divorce, I have read Shakespeare, Mrs. Gaskell, Bronte and I keep going.I have a cloud reader full of JAFF and it is my true delight. My life has so become fuller and my knowledge as well. Amazing what story and character can carry us through! Glad you are here darcy400!! That’s so lovely to hear, Julie! Thank you for stopping by to read and comment on Meredith’s great post! I love hearing how Jane Austen was such a positive influence in your life and that her stories and other JAFF stories are your true delight. I quite agree! It’s very pretty! Good luck in the draw! I’ve not had the chance to meet Meredith in person, but hope to one day! Austenesque Reviews is definitely one of the go-to places, either as a newbie or if you’re a long standing JAFF reader keen to find something you’ve possibly missed! Thank you for stopping by again, Rita, and for all the supportive sharing! Cass – I so hope we will meet in person one day! Thank you for all your kind words about my blog!! My main aim with it is for it to be helpful to others! I wholeheartedly agree Rita! As someone who is severely affected by a book, I need to go in prepared, so I appreciate these reviews from Meredith hugely! Hi Rita! You are so sweet! I can’t believe that trip was in 2012 which is soon to be 4 years ago! Quite amazing! I appreciate all the kind things you said, all the support you give Austenesque Reviews, your friendship, and faith in my reviews! I’m so happy that writing reviews and reading JAFF has brought me to meet and be friends with lovely people such as yourself! What you do for the community is amazing! 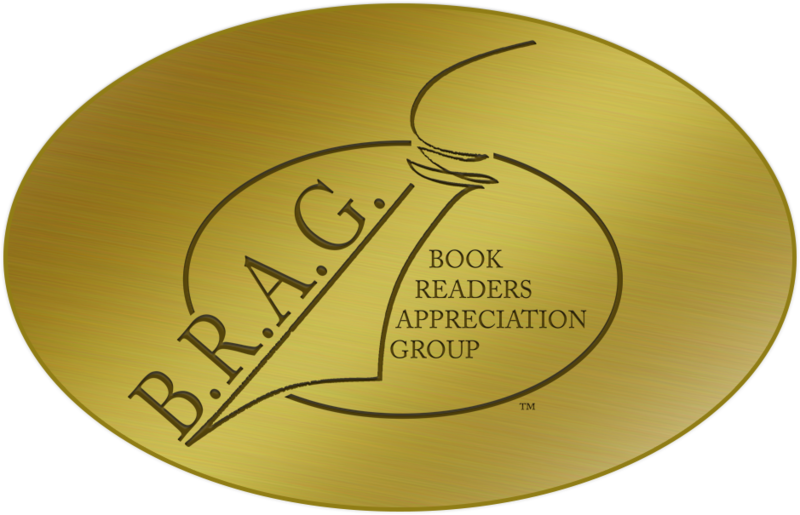 🙂 You bring everyone together and promote authors and readers in such a generous and thoughtful way. I need to get a copy of the movie! I have an old copy of the book with Darcy and Elizabeth on the cover from the film, but not the DVD itself. I’ve always found I can take something to love from every adaptation, even if there are things I don’t like. I think I just love Jane Austen’s stories so much, there’s apart of me that will always enjoy the adaptation on one level or another. Thank you for coming back to comment, Kathrin, and good luck in this week’s draw! I’m glad somebody likes the 1940’s version! I tried to watch it once but couldn’t do it… If I have a few hours of free time, not devoted to reading then it’s Colin Firth for me!! Lovely post, by the way. It’s a beautiful post, isn’t it? Good luck in the draw, Kim P! I’m thinking of taking a drink and then watching it – with an open heart. Thanks for commenting Kim! What a charming post! I do so enjoy discovering JAFF authors and learning how they got to where they are. It is impossible to read JA without being affected — or should I say infected? — with her stories and characters. And North Carolina seems to be quite a breeding ground for JAFF authors. Thank you for a very enjoyable post and for offering a giveaway. BTW, this is my third atttempt, so I do hope it is my “turn” to win! LOL! LOL Janis! We have a few people who’ve commented before this week so far, but I think you may be the only 3rd timer! I also find the 1980 version the best for closeness to the novel despite the stiff Darcy and lol re Frankenstein’s monster! Maybe we should hold an event where we live tweet ALL the way thru ALL the versions. Thank you TeaGuide! I think Greer Garson did pretty well for being 36! LOL! I thought she nailed the whole “impertinent charm” thing and I love the archery scene that is completely not canon but very clever! I feel slightly ashamed saying this, but I’ve never seen the 1980’s version of P&P! And hearing that Darcy is Frankenstein-ish does not make me wish to quickly remedy that! I like Darcys I can fall in love with! Oh Meredith that was a lovely post on how you found Jane, your Mr. Bingley and started your own blog. You were the first blog I found when I went searching for more Jane! I love the photos you included too. Jane is such an inspiration to all regardless of when we truly ‘found’ her. Once I had seen the 1995 movie version of P&P, I went searching for any others I could find. The 1940’s one though inaccurate was still fun to watch. Thank you for the giveaway! So looking forward to this book! It was a lovely post, I agree! I haven’t seen the 1955 adaptation. One to search for! Thank you for coming back again, Carole and good luck this week! Thank you for commenting Carole! I love getting to know the people behind the blogs as well! Thank you, Carole! I’m so happy we are “online friends” and have connected with each other these past couple of years through our love of Jane Austen and reading! It is amazing how many people feel impacted and influenced by Jane Austen! I am so looking forward to reading this book. It sounds intriguing. Meredith, I loved learning more about you. I too am painfully shy and detest large gatherings. I enjoyvyoir blog immensity. I found Jane Austen around 2010 and I have been voraciously reading JAFF since. Thank you for stopping by again, Debbie! So hope you enjoy the book! I hope you enjoy the book deborahanne2 and thank you for commenting! It’s great learning we have so much in common! 🙂 Thank you so much for reading my post and your kind words about my blog! The 1940 version was the first one I watched as well, and not because I’m so old it was the only one available. My daughter, Jennifer, was barely a teenager when it played on TV. Like you, she went through a phase of classic movies (Roman Holiday, Singin’ in the Rain, everything Fred Astaire, Bringing Up Baby). My husband and I watched it again this past Saturday night. He’s now extremely familiar with the characters and their canon behavior. We laughed when we were supposed to and were exceedingly pleased with the happily-ever-after. Since I first learned about the world of Jane Austen fan fiction, your blog, Meredith, has been one of my favorite stops. I’m been sadly neglectful of leaving comments this year, though I regularly stop by for a quick read. Shame on me!!! This blog is lovely, Cass and Ada. It’s my first visit here, but I’m 100% confident it isn’t my last. I’m looking forward to reading your latest. Intriguing!!! Please do not enter me in the giveaway as I already have the necklace and will have your newest the second it’s out. Lovely to see you here, Joy! Welcome to Tabby Cow, and thank you for sharing your experiences! I really need to get hold of this film and re-watch! Aww, Thank you so much Joy! Cass! We have to get this for when we’re in the UK! LOL! Joy! That’s great that you still enjoy watching the 1940’s version. It has probably been a good while since I’ve watched it, I’m definitely overdue! Aww! Thank you for your lovely visits to my blog, Joy! Of course, all bloggers love comments, but it means a lot to me when those comments come from dear and long-time friends such as yourself! Thank you for stopping in to read my post! Sometime during the academic year starting later this year, I’ll be celebrating 50 years since I first discovered Jane Austen through the very same film as Meredith. Not entirely sure when, but it was probably one of those winter Sunday afternoon black and white films that they used to show all of the time. I know it was during my first year at grammar school cos I checked the book out of the school library the very next day and the school librarian wanted to know why. I remember being vaguely disappointed that the archery scene wasn’t in the book! If that hadn’t happened, I probably wouldn’t be here talking to you now. Jane Austen’s works were never chosen as one of our set books in English Literature, so that avenue would never have lead anywhere. Probably the final chance would have been when hubby and I spent two years working in Nigeria in the late 70s. There, books were in very short supply and you read literally anything in the English language you could get your hands on. Some other Brits were returning to the UK and gave me their disintegrating copy of the six major novels. Meredith’s blog was one of the first I discovered after I came across this wonderful community at the beginning of 2014 and though my online time is currently rather limited right now, I always read her wonderful reviews even if I don’t comment. Keep up the good work Meredith. Thanks Cass and Ada for your lovely and generous giveaway series. What a fantastic anniversary to be celebrating, Anji! That is brilliant! So sorry to hear you are suffering, so thank you for coming to visit and writing such a detailed comment. Hope you’re soon on the mend! Yes, thank you so much Anji. And happy 50th Janeiversary! This 1940s version phenomenon just goes to show that quality shines thru. *big hugs to you Anji* Thank you for all the kind words and for always sharing in the discussions on my blog! Even though we’ve never met in person, I feel like I know you! I’m so terribly sorry to hear that sitting is still giving you lots of pain. I know what that looks like and I hope that relief is coming your way! Thank you as always for the friendly message! I hope you have a great weekend! P.S. I’m still jealous of your book nook Meredith! LOL! Thank you, I’m very spoiled by it! The impact of this is hard to comprehend sometimes, isn’t it? When I hear of all the people who might not have discovered the pleasure of reading or trying their own hand at writing if Jane Austen had never published, it’s quite scary! Thank you for sharing your thoughts, Patricia, and good luck in this week’s draw! I think the same. I would have read for school and may not have read much on my own. Am so glad that isn’ true!! It was great to hear about your journey to Jane Austen, Meredith. I’m very glad you found her, too, because you’ve been such a fantastic blogger and a resource on everything Austenesque. Keep going, Meredith! Cass and Ada: I’d heard of your project of course, but it’s the first time visiting your blog. What fun! Looking forward to the new release! I’m very curious! Meredith’s amazing, isn’t she, and you’re right, she has created a fabulous resource! I love this post from her, it’s so charming and engaging. Thank you for popping in and commenting! Thank you, Cass! It really is lovely of you to say so! I was worried my post was too long, it felt odd to be talking more about myself than about books! LOL! Curious is good! Thank you for popping over to read and comment!! Aww, Monica! Thank you so much for the simply lovely things you said! I’m really happy that Jane Austen has brought such wonderful people like you into my life! I’m so very thankful!! Enjoyed getting to know how your blog started. Thanks for the giveaway. Thank you for visiting and commenting, Patty! Thank you!!! Glad to have you here! I love hearing how your love for Jane Austen shaped your life, Meredith! She’s impacted so many lives, hasn’t she? You and your Mr. Bingley are adorable! Thanks for coming by Pam! Thank you, Pam! It is amazing when you think about how far her influence extends. When Cass sent me the question about if I never read Jane Austen she said something like “Mr. Bingley would have another name.” And when I thought about it I realized that he might not be in my life period! Very scary! I’m so thankful that I’ve discovered Jane Austen probably one of the best things to ever happen to me! It’s such a lovely blog post, isn’t it, Pam? How fun to get to read an interview with you, Meredith! Love hearing how you ended up a JAFF reviewer married to your Mr. Bingley! I can relate to yourr experience in high school and only wish I had found Jane Austen at this point. I have heard so much about the 1940 version of P&P that I am determined to watch it now. 🙂 Would love to win a copy of the book. Thank you for visiting, Brenda! I haven’t watched the 1940 version for years – I think In need to get a copy!! I couldn’t agree with you more! I’m honored to be a part of Cass and Ada’s celebration of their upcoming release! They really put something extra-special and unique together! 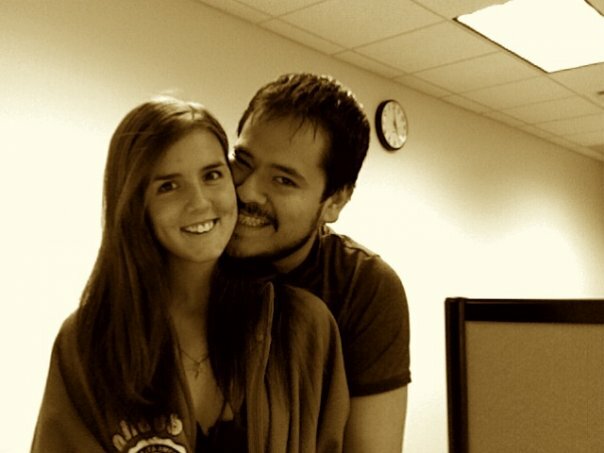 Thank you so much for reading my story and for being a blogging bud! So pleased you are enjoying the blog posts, Tara! We’re having so much fun with our lovely guests who are being so supportive to us and also sharing some lovely things from their own lives! We feel honoured! Meredith is one of my mostest-favoritest people in the world and I’m always in awe at how much work she puts into her blog yet it always seems a labor of love. That’s a beautiful way of describing Meredith’s blog, Monica! 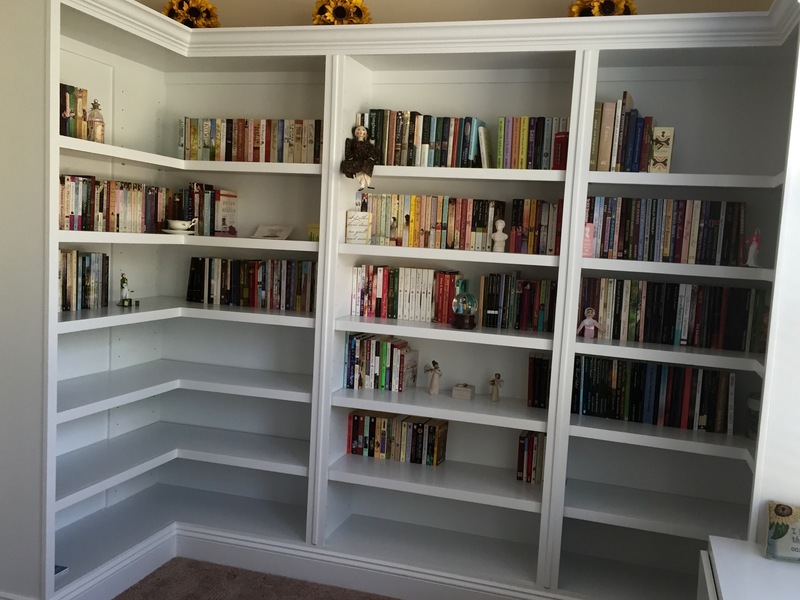 The book nook is super – I think we’d all like one of those!